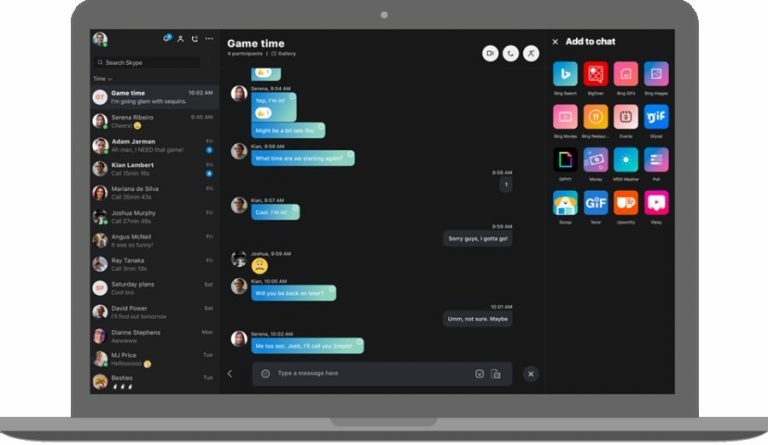 Skype for Desktop: The Microsoft had launched redesigned Skype for mobile back in June, and the company has been testing its mobile interface changes in desktop versions of its apps. The redesigned interface mostly focused on media sharing and social expression tools. Today the company has publicly launched the redesigned Skype for the desktop. The new design lets you customize the look of the application using themes from the list of different colors. It lets you organize your chat list by time, unread, or status and even pin people or groups to have them always close at hand. This also brings new notification panel to manage reactions to messages, mentions in group conversations, or if someone quoted you and missed calls. It makes searching media files quickly; you can find shared content in the chat gallery just by tapping the Gallery icon to see the media, links, and files shared. Now that the Skype for desktop is cloud-based, you can send up to 300 MB over Skype by simply dragging and dropping the file. It is accessible anywhere you have Skype installed. Skype Insiders gets Add-ins support that makes it easier to do tasks from sending a Giphy to scheduling an event it helps you get the work done more efficiently.